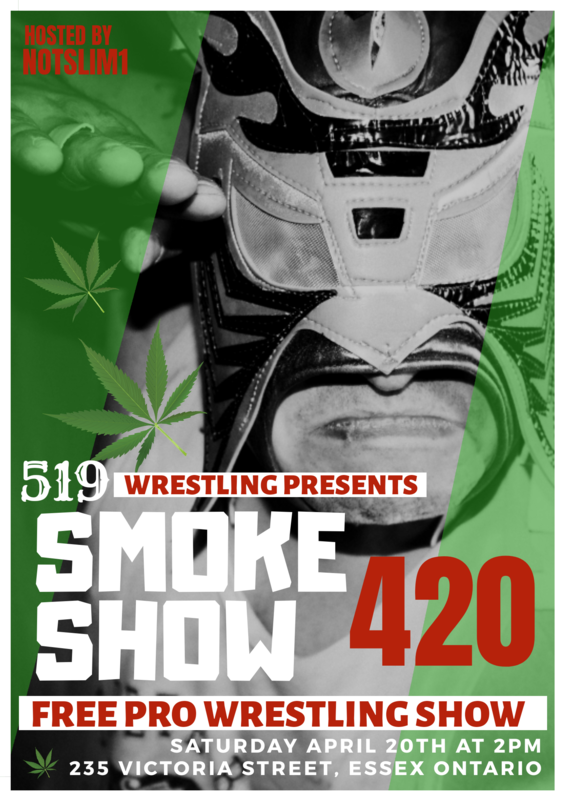 519 Wrestling presents SMOKE SHOW 420! An entertaining afternoon of Pro Wrestling, Gaming, Contest and Prizes. Hosted by NOTSLIM1. This event may contain strong language and mature themes. Viewer discretion is advised.